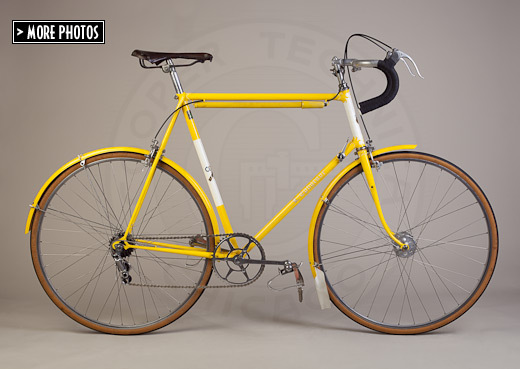 Les Ephgrave established his shop in 1948 after learning of the art of frame-building at Rensch Paris Cycles and Claud Butler. On each of his highly-prized frames, Ephgrave personally did all of his own lug cutting, and was known for the crisp quality of the filing and feathering of his lugs. Ephgrave produced three lugged-frame models, No. 1, No. 1 Super and No. 2. This frame is an example of No. 1 type. 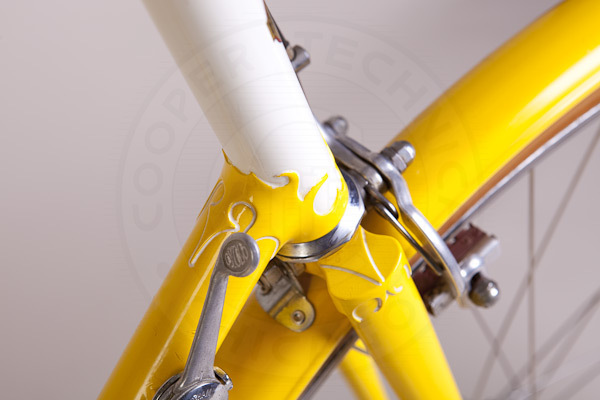 On his earlier frames, like this one made in 1953, Ephgrave used Ecla malleable iron lugs, and reshaped them to his designs. (Later frames used Nervex lugs.) Ephgrave also added decorations on the top of the seat stays. 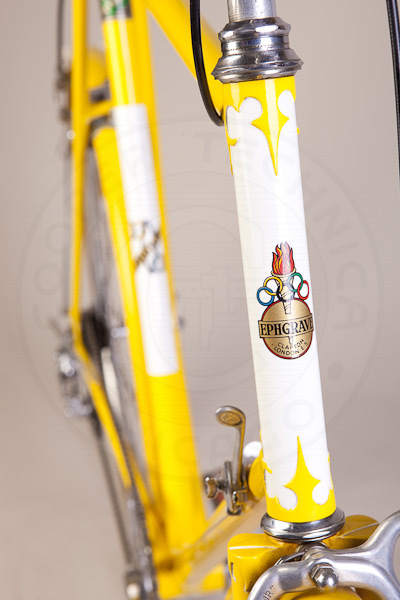 My frame has a simple decorative metal strip, but after 1953 frames had a design Ephgrave called "winning posts" added to the seat stays. (Thanks to Mick Butler for that information.) People who don't know better might think they look like lollipops. My frame was painted by the previous owner in yellow and white, although I did add the matching Bluemels mudguards. 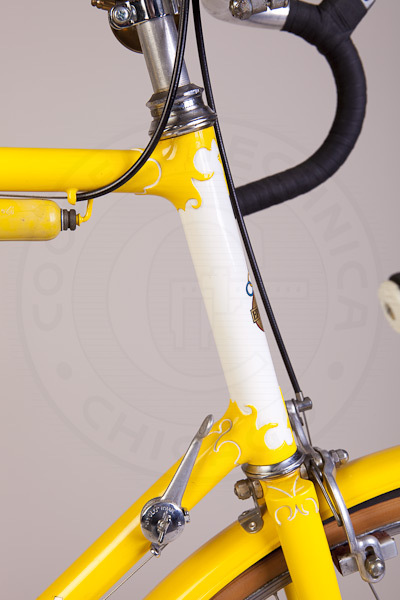 Lower head tube, fork crown detail. 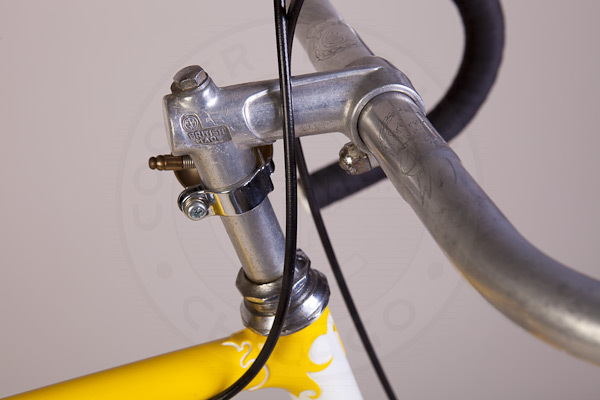 Cyclo shift lever. GB Coureur brakes.